I’ve done it before, only during yoga classes or at retreats, when I didn’t have to commit my own time, it was lead during time I had already committed to someone else. I see the value. I understand the value. I’ve heard all of the successful people go on and on about how it makes such a big difference in their lives. Makes them better leaders. Allows them to think more clearly. My yogi friends, those calm, beautiful, inspiring people who seem to just “get it”, they all swear by it too. It’s been on my to do list for probably about 3 years. And yet, before today, I hadn’t committed to actually making it a part of my life. Well, I’m busy. I have a lot on the go. All the time. I’m always juggling priorities, jobs, tasks, commitments, trips… You name it. I get overwhelmed, often. That feeling like everything is bubbling up inside you and is about to bubble over. I feel that a lot. But you know what? That needs to become my WHY not my WHY NOT. The reason I need this so badly, to slow down and be and breathe and calm, is because I live a life that doesn’t make it easy to fit it in. Now, my schedule isn’t exactly routine, so it may not be easy to get in every day. I’m sure I’ll almost never be in the same place everyday. But so what? I need this. So here I am, committing. I’m sure I won’t be perfect. I’m sure I’ll miss days and miss steps along the way. But I’m gonna give this my best effort and see what kind of impact it makes. Thank you to my dear friend, Tallis Rollins, for your support and encouragement in this seemingly small but sort of big matter. And all the people in my life that inspire me. And thank you Headspace App for my guiding my first session and for helping me commit to at least my first 10 days. 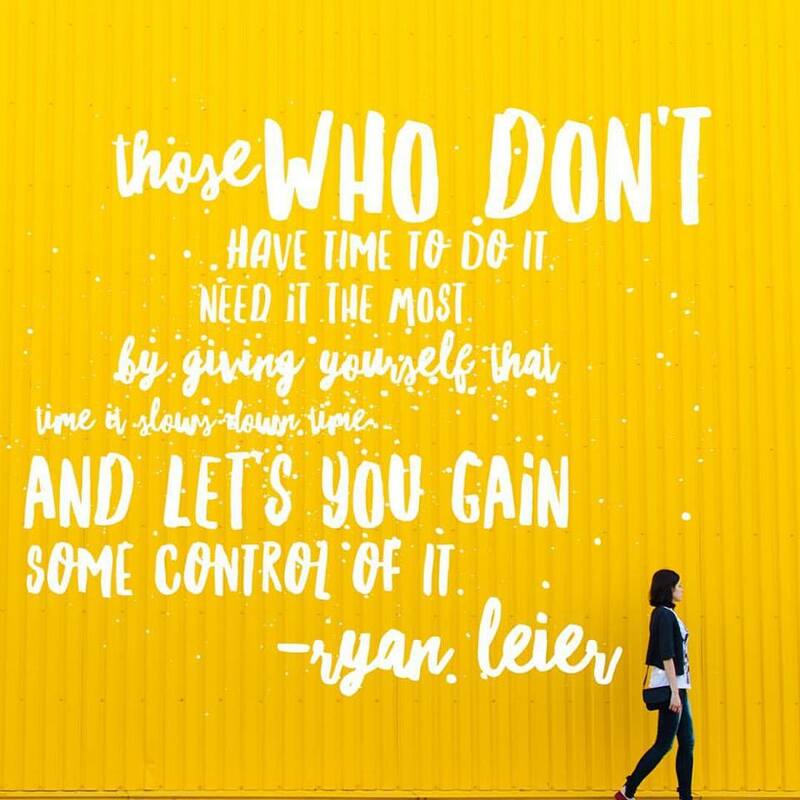 Oh, and to Ryan Leier for speaking the words people like me need to hear, and inspiring us all to pass your important words along.